Is there anything better than relaxing by the fire, under the stars, roasting marshmallows while enjoying good company? We don’t think so! 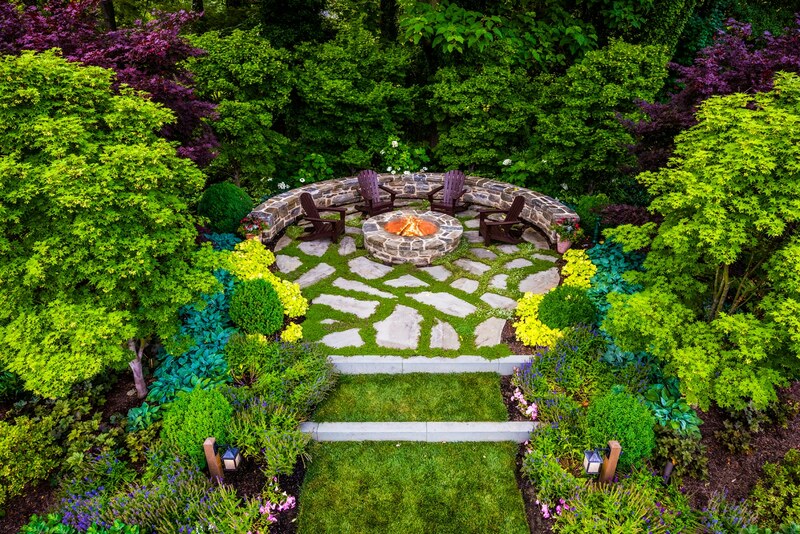 Outdoor fire pit areas, such as the one pictured below, are great spaces for family and friends to get together, shares stories, and escape from the hustle and bustle of everyday life. This particular elevated fire pit space is nestled into the landscape, but has views of the rear property looking back at the residence. Check back soon for full site images and a complete write-up!